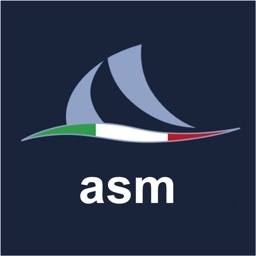 - More powerful ways to secure your anchorage. 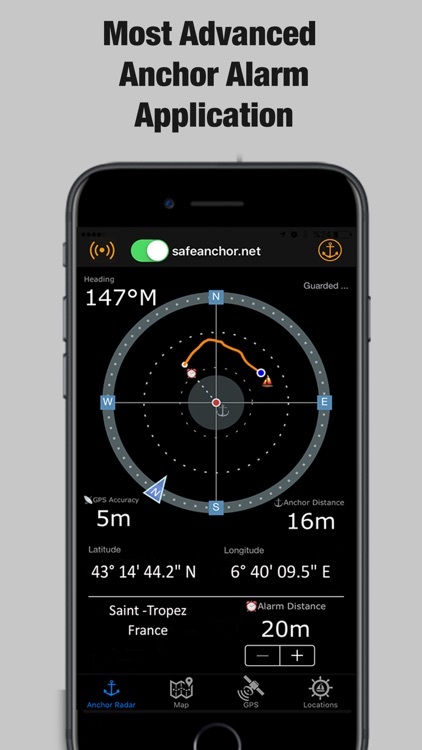 Anchor alarm allows you to program the position of your anchor and then set the radius that you’re happy to swing within. 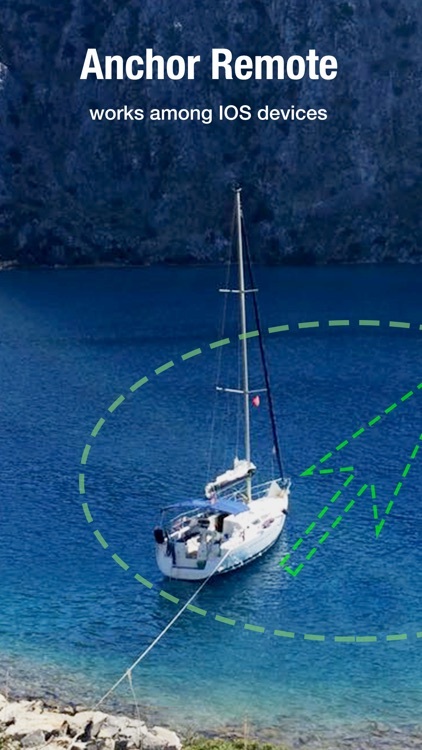 If the boat goes outside the circumference of the circle then alarm will trigger. 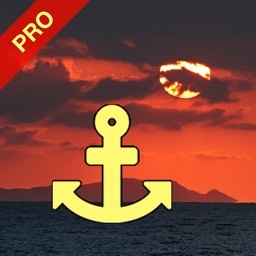 • Anchor Remote - Keep track of the boat location on anchorage remotely and real-time. It works among IOS devices and enable to monitor real-time. Notification alarm sends to remote device. 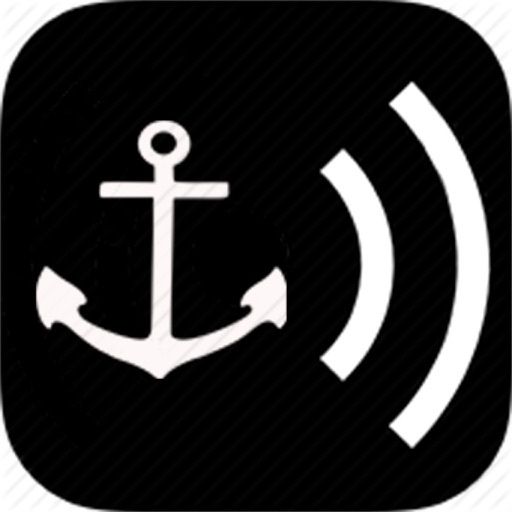 • Augmented Reality Anchor Pointer - It uses latest augmented reality technology to show anchor point on live camera of mobile device. 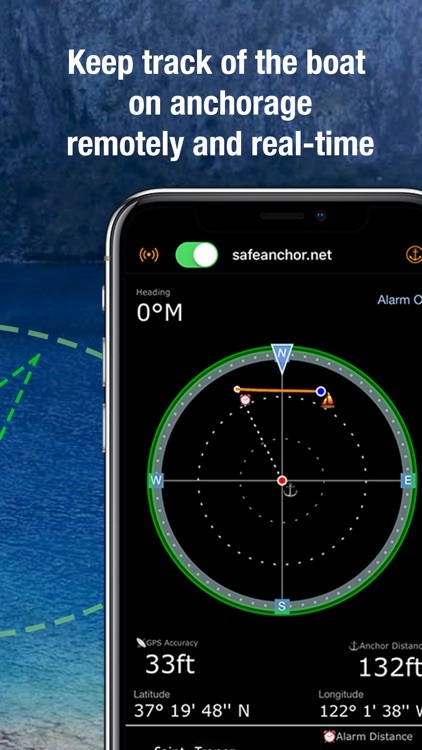 • No Internet Connection Required - Boat movements can be tracked on radar screen of the application even if you don’t have an internet connection. 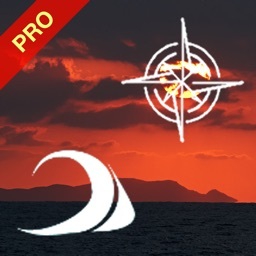 • Background Mode - Mobile application works on background and keep receiving GPS location signals while application is in background mode. If drag is detected, it send notification with strong sound to notify user. 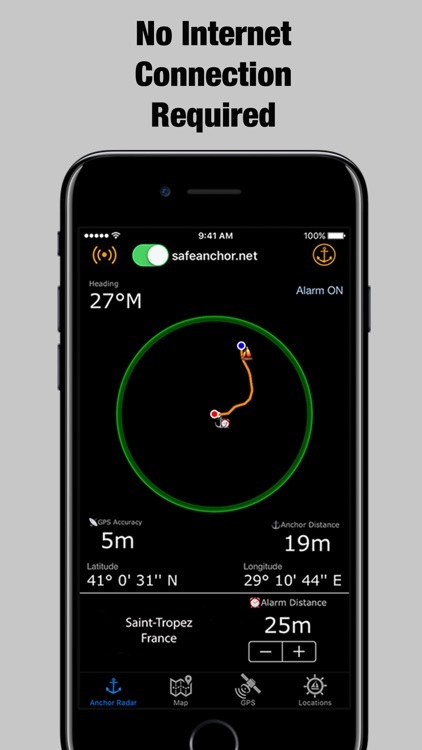 • Set Anchor Location Manually - User can easily set an anchor location manually on the screen with respective to current location or move to another anchor point any time. 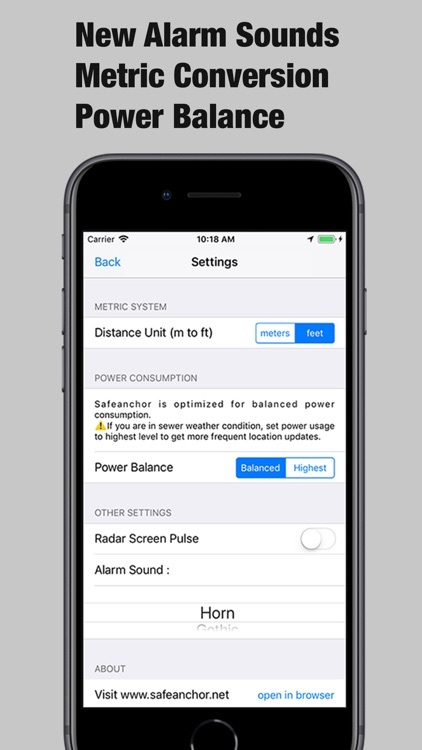 • Power consumption - Power consumption is well-optimized and it can be managed by setting page with user preferences. 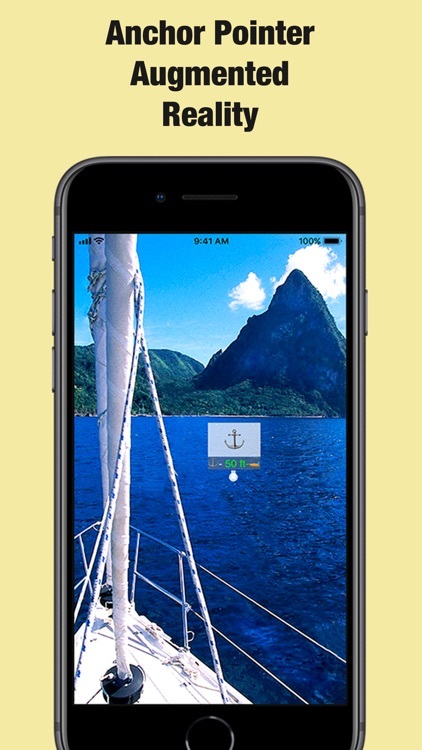 • Locations - Save your anchor locations, find them later easily. HOW IT WORKS - "Easy to use"
Once the boat is anchored, set the anchor point manually or use current location in the application. Anchor bearing is activated immediately after the location is marked as anchor point. 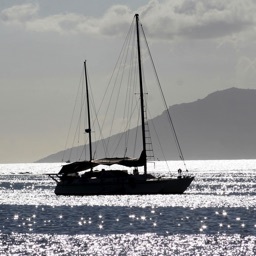 If the boat is stationary, set the alarm and determine free-swing area of the boat. Activating the alarm will tracks the boat movements in the area and plot the movement on the radar screen. Allow sufficient space for your boat to swing as wind and tide changes direction. 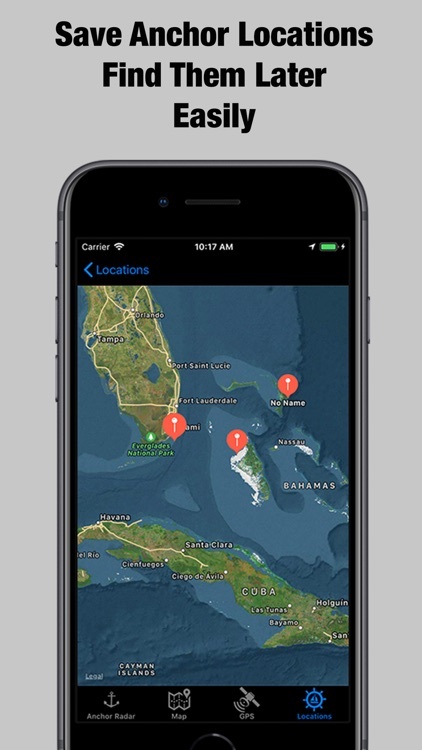 Activating alarm allows smartphone to track location updates on background.If boat begins drag, anchor drag monitoring system detects drag and fires the alarm notification on smartphone. 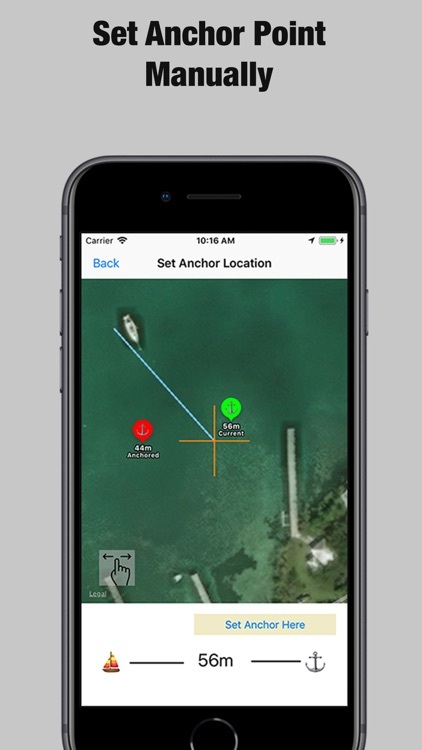 Anchor Remote feature enables to keep track of the boat location on anchorage remotely and real-time. It works among IOS devices and Notification alarm sends to remote device. 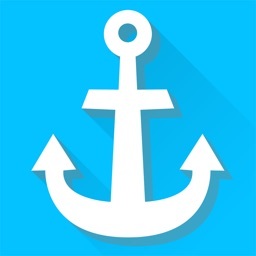 – Anchor Remote is yearly service subscription.